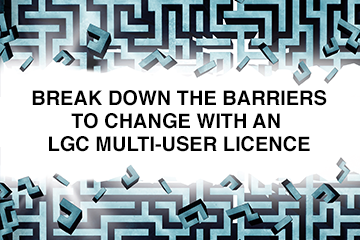 As panellists gathered for an LGC roundtable, held in association with Agilisys, one confessed to feeling like an imposter. The subject for the event was the role of local government as a place leader. But Ged Curran, chief executive of Merton LBC, explained he presides over a council named after a place that doesn’t exist. It was a thought-provoking point to begin the debate, run simultaneously in London and Manchester. The idea that local government should be a leader of place is well established. But just what is meant by ‘place’, and does that vary between areas? Robin Tuddenham, chief executive of Calderdale MBC, also outed himself as a chief executive of a council for a place created by bureaucracy. His experience was different from Mr Curran’s. “Actually people do identify with Calderdale,” he said. “Maybe controversially, given the point of the conversation is about place, actually the more important word for me is community,” said Jamie Sutterby, director of communities and wellbeing at South Norfolk Council. “Place is one way of describing a community, but there are often other ways that communities manifest themselves. In Wigan, a community-focused approach to place, built around relevant partners, is front and centre. “We’ve reorganised how we work in a place-based way into seven service delivery footprints,” explained Alison Hughes, assistant director of strategic ICT partnerships for both Wigan MBC and Bolton MBC. “Now those aren’t coterminous with ward boundaries, and neither are they necessarily coterminous with health boundaries or GP surgery boundaries within the borough,” she said. “But they create a common sense of how communities identity themselves within our overall geography. This was something new in local government, Ms Hughes said, “because I think historically we’ve always worked in terms of things being chunked up in a very neat way, and that’s no longer relevant”. Mr Curran suggested that defining place in this broader way is truer to the original thinking on the topic. He cited Michael Lyons’ 2007 report, Place-shaping: a shared ambition for the future of local government, saying that it wasn’t about physical place. “He was talking really about leading place, in the sense of gaining the trust and confidence of the people we seek to represent and lead. So in that context, you can have a conversation that is about identity as well as about places,” Mr Curran said. For Steve Modric, head of strategy for Homes England in the North West, “local authorities are the custodians of the place”. “It’s for them to set ambition and our role is then to support that and make it happen, rather than a big state intervention, which we don’t think is a particularly sustainable way of running things,” he said. That issue of relations between central and local government is being explored by Localis, the think tank focused on localism. Its chief executive, Jonathan Werran, told the roundtable much debate on the progress of place-making will come down to “how local authorities can use their strategic powers to get those freedoms in terms of finance, investment, fiscal freedoms, and governance powers”. He didn’t mean authorities should be waiting to gain those powers before acting. But it seems the pattern of activity varies. Simon Fletcher, managing consultant at Agilisys, explained he and his colleagues regularly converse with council officers up and down the country, and see a mixed picture. “There are some authorities that seem to be doing well [on place] and others that are struggling to engage,” He said. “What is the secret ingredient?” In other words, what it is that distinguishes an authority doing well on place, bringing together different partners to build strong identities and strong communities, from those that are struggling? For Michael Palin, chief executive at St Helens MBC, part of the answer is developing something he terms “organisational disinterest”. He said it has been key to creating to St Helens Cares, an integrated health and social care system in the area which brings together the council, the NHS, the police and the fire service. In that session was the clinical commissioning group, which through its sustainability and transformation partnership were aware it would have a £303m budget shortfall by 2020. Meanwhile, Mr Palin said, the council had to make £22m of savings by 2020, the police £25m, and the fire brigade £11m. The housing association would also lose £17m through regulatory change. It was an example which embodied other ingredients for success raised by our panellists. Among them was the idea of successful place-making being contingent on a shared language. Some argued that might mean ditching the ‘p’ word. “There’s not a common understanding or a common description of what place is, and therefore it’s not always the most obvious starting point when you’re trying to engage partners,” argued South Norfolk’s Mr Sutterby. “In my current role, I’ve kind of given up on trying to explain to my health and social care colleagues why housing is so important, because it kind of falls on deaf ears. If I try and turn that around and talk about my services in the context of frailty, I get somewhere quite quickly in the NHS world, because frailty is such a prevalent problem,” he said. This sort of place leadership often feels like it “most snugly” sits in local government, he said. But he also argued that authorities shouldn’t necessarily assume they should lead on this agenda. The extent to which local government should and perceives itself to be the leader on place provoked some debate. For Simone Russell, director of housing and communities at Welwyn Hatfield BC, the unique quality of the local authority in this context is that it has a democratic mandate. And that’s a distinction, she said, that shouldn’t be ignored. It was a point with which Mr Stott of South Ribble concurred, reporting such understanding had been central to the development of the local community strategy. And communication was certainly another secret ingredient emphasised in place making success . For Tim Pitts, managing partner at Agilisys, getting it right means harnessing the power of data. “If you really understand who everyone is in your particular location, and you can understand what’s the best or most effective way of communicating with them, what’s the best channel to use, you’ve a far greater chance of success of tackling many of the fundamental challenges I think we’ve all got,” he said. They may have cited different views on some points, but there was one clear area of agreement during the debate: local government is central to place-making. And, argued Mr Tuddenham, it could be that now is a particularly good point to advance the agenda. “If ever there’s a time when local areas need to convene better and together, it’s now,” he argued. “Because we’ve got a national government that is distracted. We’ve got a little bit of uncertainty and I think restlessness. And also I think, increasingly, a despondency in our communities about politics and the political environment at a national level. We’ve all become used to the idea that local government can play a role as a placemaker in the physical world. But these days we live our lives as much in the digital world. It’s online that we connect with friends, manage fi nances and plan holidays.